Lexar announces the availability of the 512GB capacity high-performance 633x microSD UHS-I card with A2 speed. The Lexar 633x microSD 512GB is a premium memory solution for high-end smartphones, cameras, video recording devices and more. It features UHS-I certification delivering transfer speeds of up to 100MB/s as well as meeting the Application Performance Class 2 (A2) requirements from the latest SD Association’s 6.0 specifications. The A2 speed guarantees higher minimum random write speeds of 2000 IOPS and minimum read speeds of 4000 IOPS, this ensures apps stored in the Lexar 633x microSD will be launched and run swiftly compared to standard microSDs without A2 certification. 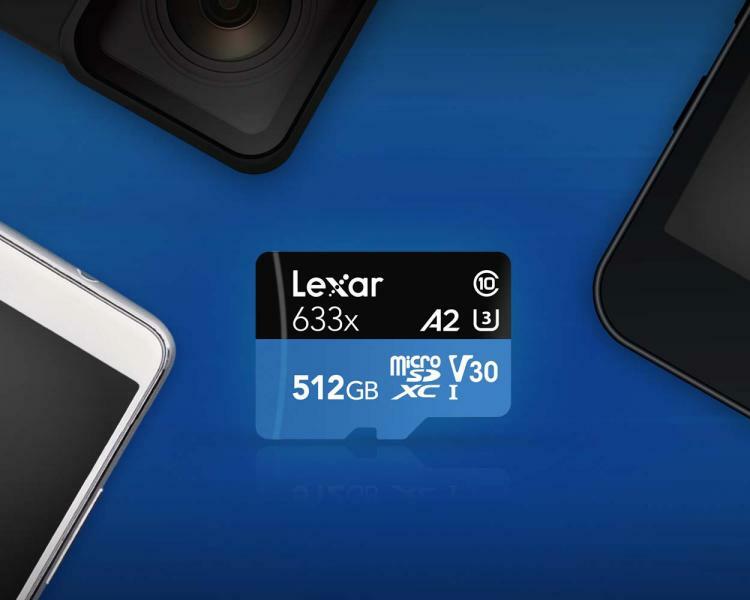 The Lexar High-Performance 633x microSD UHS-I cards are designed for smartphones, tablets, action cameras and video recorders. Gaming phones can take advantage of the 512GB storage expansion to store more games and saved files. It features Class 10 rating that takes advantage of UHS-I technology to deliver high-performance recording to allow quick capture, playback and transfer of large files. Capture the highest quality video at 1080p full-HD, 3D, and 4K video with ease. The Lexar 633x microSD cards come bundled with an SD adapter. Lexar covers the 633x microSD with a limited lifetime warranty. The 512GB Lexar High-Performance 633x microSDXC UHS-I card is available late-October at MSRP of $299.99 USD. Learn more about the Lexar High-Performance 633x microSD here.